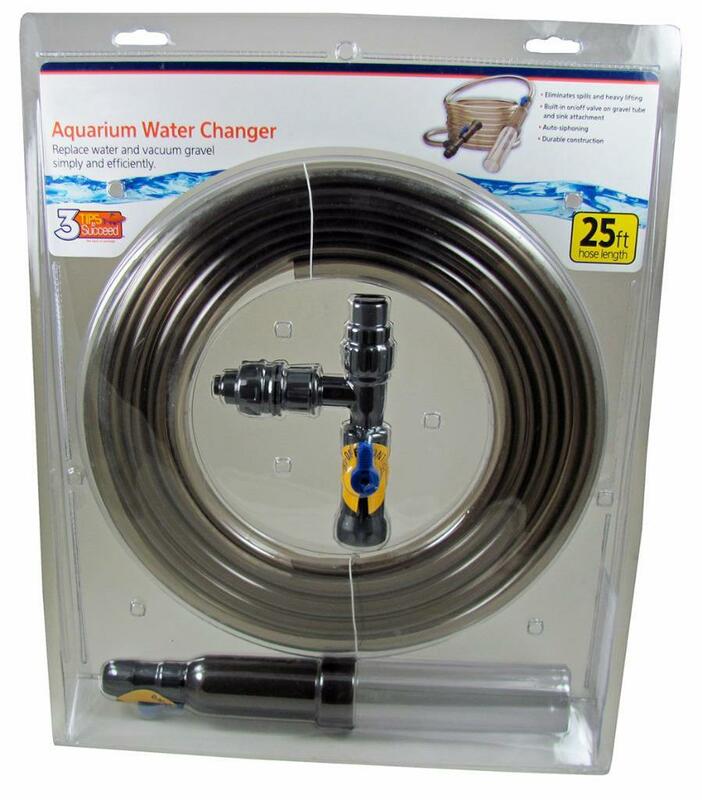 Our deluxe water changer makes monthly water changes and gravel cleaning easy and efficient. The unit easily hooks to most faucets with threaded aerator. 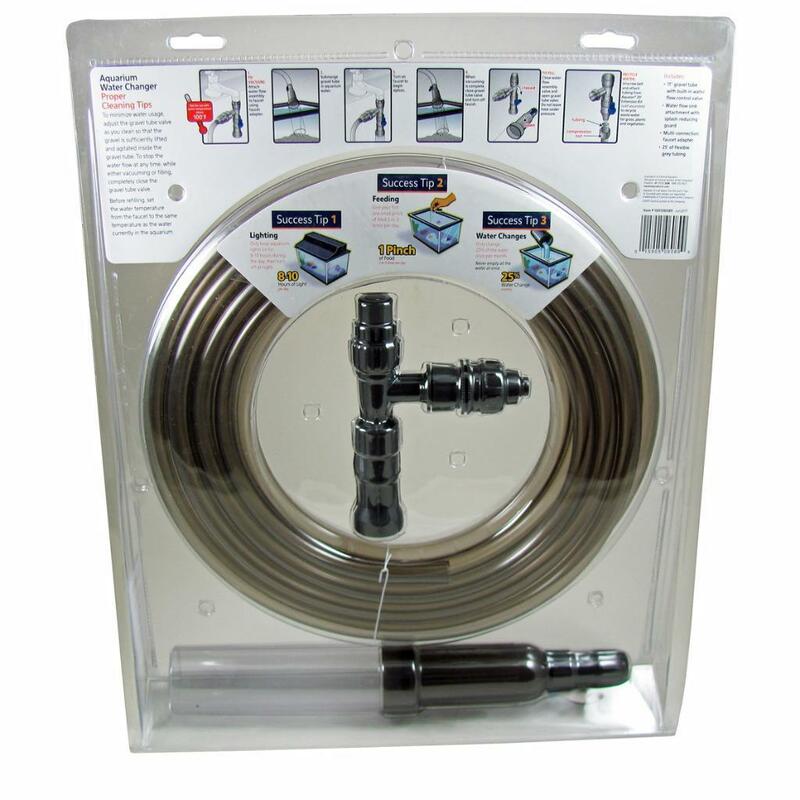 The 25ft hose is usually enough to reach the aquarium and begin cleaning and siphoning water. Water is removed to the sink along with dirt and other organic material that settles into the gravel. Full instructions are included for siphoning, cleaning and refilling the tank. No matter what filtration you use a gravel vacuum will help you maintain a cleaner and healthier environment for your fish by both removing waste that settles to the bottom and facilitating weekly water changes. In most cases you can perform monthly or weekly water changes and clean your gravel in under 30 minutes. This also has the added benefit of reducing the maintenance on any filters you have running on your aquarium.